You may have heard our exciting news already in the classic motoring press, but if not, keep reading! 2017 is looking to be an exciting year here at SU HQ. After 4 years in development we can finally announce that we will be introducing to the market, a revolutionary new fuel injection system that hides within an SU Carburettor. The carburettor mounted components of the system are so well hidden you would be unlikely to recognise the difference! The system will be supplied complete with ECU and all components required to fit, including the new carburettor units. Initial tests are complete and have been conducted using a Jaguar 4.2 E-Type engine both on the dyno and in the car. The first kit to be released will be for this engine with further developments following on swiftly afterwards. Expect improvements in power, torque, drivability and emissions. 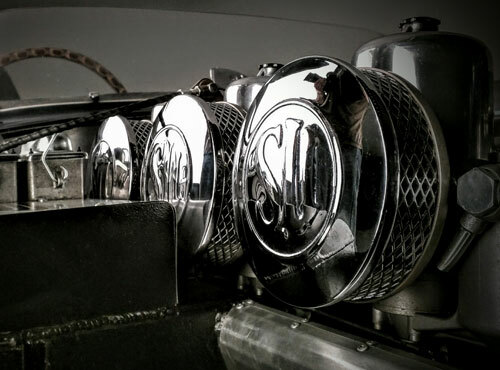 Component parts have been developed with different types and sizes of SU carburettor in mind, ensuring that as broad a range of vehicles as possible can be covered. Development is continuing with an initial launch aimed for later in the year, however, if you’re eager to learn a little more pop down to see us at the Goodwood Members Meeting over the weekend of 18th/19th March where we will be displaying the prototype systems.